Certified. 2015 BMW 3 Series 328i xDrive Melbourne Red Metallic Priced below KBB Fair Purchase Price! Cold Weather Package, Comfort Access Keyless Entry, Dakota Leather Upholstery, Driver Assistance Package, Enhanced USB & Bluetooth w/Smartphone Integration, Heated Front Seats, Heated Rear Seats, Heated Steering Wheel, Lumbar Support, Moonroof, Navigation System, Park Distance Control, Premium Package, Rear-View Camera, Retractable Headlight Washers, Satellite Radio. 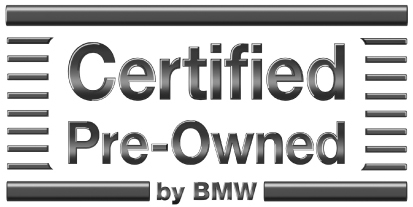 22/33 City/Highway MPGBMW Certification Program Details: * Limited Warranty: unlimited miles up to a total of 5 years * Free Vehicle History Report * 24 Hour Roadside Assistance * Multi-point Point Inspection * Special APR Financing Available! Certified. 2015 BMW 3 Series 328i xDrive Mineral Gray Metallic Cold Weather Package, Comfort Access Keyless Entry, Dakota Leather Upholstery, Driver Assistance Package, Heated Front Seats, Heated Rear Seats, Heated Steering Wheel, Lumbar Support, Moonroof, Navigation System, Park Distance Control, Premium Package, Rear-View Camera, Retractable Headlight Washers, Satellite Radio. 22/33 City/Highway MPGBMW Certification Program Details: * Limited Warranty: unlimited miles up to a total of 5 years * Free Vehicle History Report * 24 Hour Roadside Assistance * Multi-point Point Inspection * Special APR Financing Available! Recent Arrival! Certified. 2015 BMW 3 Series 320i xDrive Glacier Silver Metallic Adaptive Light Control, Anthracite Headliner, Driver Assistance Package, Heated Front Seats, Lighting Package, M Steering Wheel, Matte Chrome Exterior Trim, Moonroof, Navigation System, Park Distance Control, Power Front Seats w/Driver Seat Memory, Rear-View Camera, Sport Package, Wheels: 18 x 8 Light Alloy Star-Spoke (Style 396), Xenon Headlights. 23/35 City/Highway MPGBMW Certification Program Details: * Limited Warranty: unlimited miles up to a total of 5 years * Free Vehicle History Report * 24 Hour Roadside Assistance * Multi-point Point Inspection * Special APR Financing Available! Certified. 2015 BMW 3 Series 328i xDrive Alpine White Odometer is 5104 miles below market average! Cold Weather Package, Comfort Access Keyless Entry, Dakota Leather Upholstery, Heated Front Seats, Heated Rear Seats, Heated Steering Wheel, Lumbar Support, Moonroof, Navigation System, Premium Package, Retractable Headlight Washers, Satellite Radio. 22/33 City/Highway MPGBMW Certification Program Details: * Limited Warranty: unlimited miles up to a total of 5 years * Free Vehicle History Report * 24 Hour Roadside Assistance * Multi-point Point Inspection * Special APR Financing Available! Certified. 2015 BMW X1 xDrive28i Mineral Gray Metallic Odometer is 3424 miles below market average! 18 x 8 Light Alloy Double-Spoke Wheels, Ambiance Lighting, Auto-Dimming Interior & Exterior Mirrors, Auto-Dimming Rear-View Mirror, Black Door Mirror Caps, Cold Weather Package, Comfort Access Keyless Entry, Heated Front Seats, Heated Steering Wheel, High-Gloss Black Trim, Interior Mirror w/Compass, Lumbar Support, Matte Coral Red Highlight Trim Finishers, Nevada Leather Upholstery, Panoramic Moonroof, Premium Package, Retractable Headlight Washers, Satellite Radio w/1 Year Subscription, Sport Line, Sport Seats, Universal Garage-Door Opener. 22/32 City/Highway MPGBMW Certification Program Details: * Limited Warranty: unlimited miles up to a total of 5 years * Free Vehicle History Report * 24 Hour Roadside Assistance * Multi-point Point Inspection * Special APR Financing Available! Certified. 2015 BMW 3 Series 328i xDrive Imperial Blue Metallic Odometer is 12561 miles below market average! Cold Weather Package, Comfort Access Keyless Entry, Dakota Leather Upholstery, Heated Front Seats, Heated Rear Seats, Heated Steering Wheel, Lumbar Support, Moonroof, Navigation System, Premium Package, Retractable Headlight Washers, Satellite Radio. 22/33 City/Highway MPGBMW Certification Program Details: * Limited Warranty: unlimited miles up to a total of 5 years * Free Vehicle History Report * 24 Hour Roadside Assistance * Multi-point Point Inspection * Special APR Financing Available! Certified. 2016 BMW X3 xDrive28i Jet Black Comfort Access Keyless Entry, Driver Assistance Package, Lumbar Support, Nevada Leather Upholstery, Panoramic Moonroof, Premium Package, Rear-View Camera, Satellite Radio. 21/28 City/Highway MPGBMW Certification Program Details: * Limited Warranty: unlimited miles up to a total of 5 years * Free Vehicle History Report * 24 Hour Roadside Assistance * Multi-point Point Inspection * Special APR Financing Available! Certified. 2015 BMW 4 Series 428i xDrive Gran Coupe Mineral Gray Metallic Cold Weather Package, Comfort Access Keyless Entry, Dakota Leather Upholstery, Driver Assistance Package, Heated Front Seats, Heated Rear Seats, Heated Steering Wheel, Lumbar Support, Navigation System, Park Distance Control, Premium Package, Rear-View Camera, Retractable Headlight Washers, Satellite Radio. 22/32 City/Highway MPGBMW Certification Program Details: * Limited Warranty: unlimited miles up to a total of 5 years * Free Vehicle History Report * 24 Hour Roadside Assistance * Multi-point Point Inspection * Special APR Financing Available! Certified. 2016 BMW 3 Series 328i xDrive Mineral Gray Metallic Odometer is 663 miles below market average! Advanced Real-Time Traffic Information, BMW Online & BMW Apps, Cold Weather Package, Comfort Access Keyless Entry, Driver Assistance Package, Heated Front Seats, Heated Rear Seats, Heated Steering Wheel, Instrument Cluster w/Extended Contents, LED Headlights, Lumbar Support, Moonroof, Navigation System, Park Distance Control, Premium Package, Rear-View Camera, Remote Services, Satellite Radio. 22/34 City/Highway MPGBMW Certification Program Details: * Limited Warranty: unlimited miles up to a total of 5 years * Free Vehicle History Report * 24 Hour Roadside Assistance * Multi-point Point Inspection * Special APR Financing Available! Certified. 2015 BMW 3 Series 335i xDrive Gran Turismo Glacier Silver Metallic Advanced Real-Time Traffic Information, BMW Online & BMW Apps, Cold Weather Package, Comfort Access Keyless Entry, Dakota Leather Upholstery, Driver Assistance Package, Enhanced USB & Bluetooth w/Smartphone Integration, Heated Front Seats, Heated Rear Seats, Heated Steering Wheel, Instrument Cluster w/Extended Contents, Lumbar Support, Navigation System, Park Distance Control, Premium Package, Rear-View Camera, Remote Services, Retractable High-Intensity Headlight Washers, Satellite Radio. 20/30 City/Highway MPGBMW Certification Program Details: * Limited Warranty: unlimited miles up to a total of 5 years * Free Vehicle History Report * 24 Hour Roadside Assistance * Multi-point Point Inspection * Special APR Financing Available!